2. It’s cooking. Finding easy and quick recipes saves my time and builts up my self esteem. It’s like letting magic into your kitchen. In few minutes you cook something delicious to surprise your family. They keep on anticipating it from you and come asking for more. What a joy! 3. It’s my work. I am a work at home mom. I am a writer. I have managed to learn the ins and outs of making money at home and earn my living. I’ll share some of the tips on how to work at home with you. 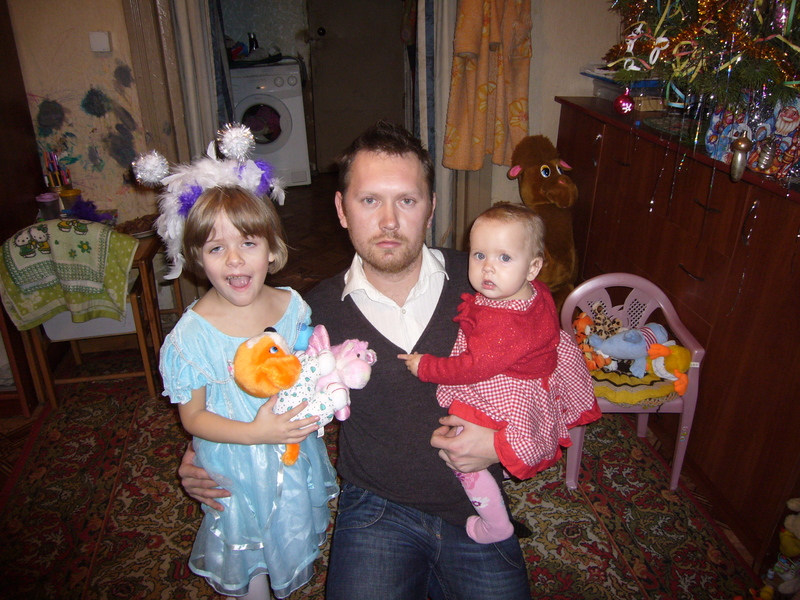 My husband Anton, the older daughter Arina and the youngest Kira. 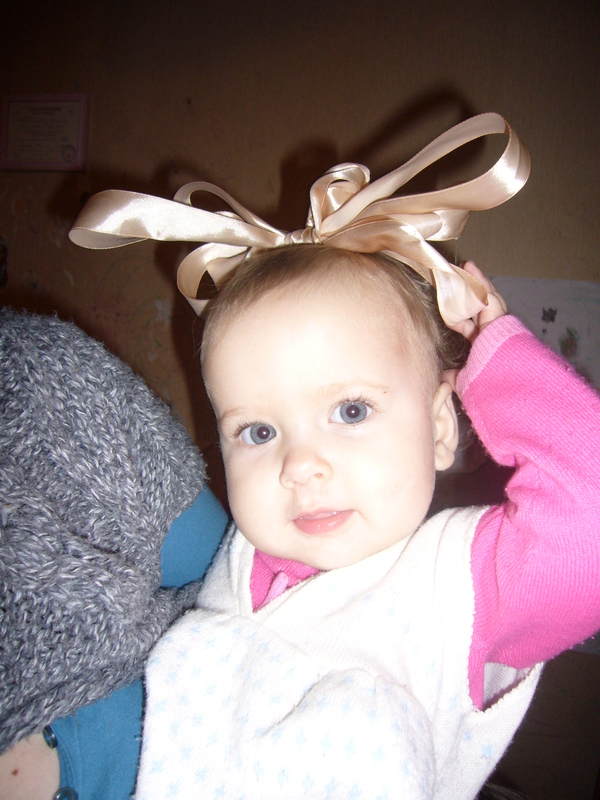 That’s before the New Year 2012. That’s me, my oldest daughter and her friend on the photo. 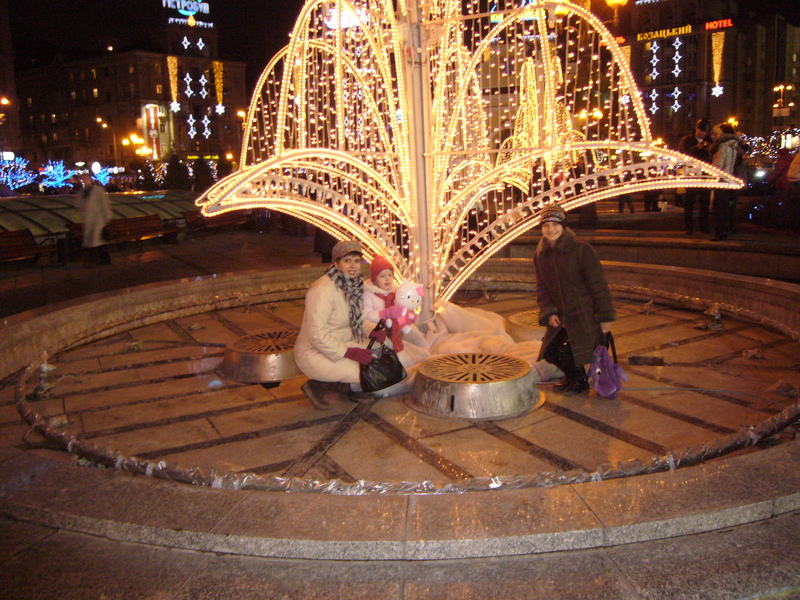 We are on the main square of Kiev after the New Year 2012. 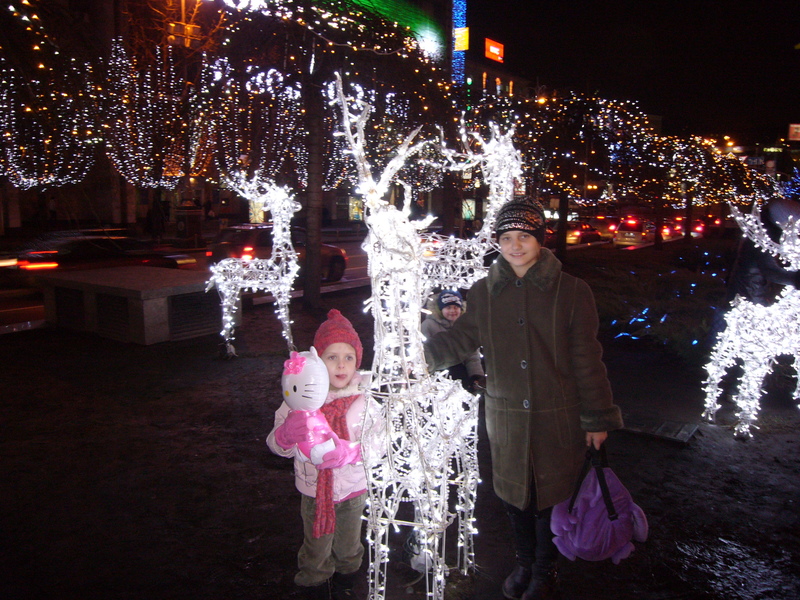 That’s my oldest daughter Arina and her friend. My daughter is 4,5 years old. This is Kira, she is 1 years old. Hi Elena, I really like your blog, I think we have a lot in common. Looking forward to reading more. Thank you for visiting Dream New England. Looks like you are a very busy woman ! Good for you for figuring out how to make this working at home a success. Your children are very luck ! Hey Elena, how are you? Thanks for liking my ad. Some people have been saying they have difficulties with the link. So if you would like to read more, I have posted on my Blogger. I like your decoupage bottles. What kind of polish do you use to make the papers stick to the bottles? It’s a colorless polished use for wood and furniture. It does not attach any tint to things.